Escape the big cities and travel by rail through dense forest, alongside turquoise lakes and high up mountain ridges. 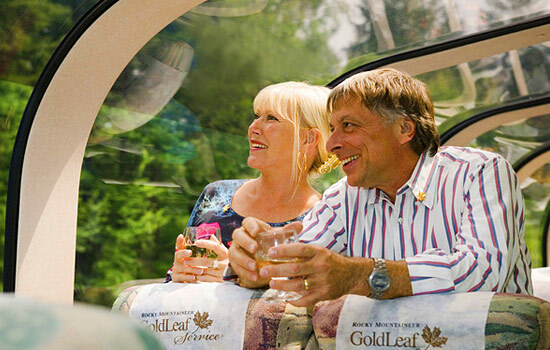 The refined experience of luxury train travel is complete comfort combined with unbelievable panoramic views of the beautiful Canadian Rockies. In each charming resort town is a hidden gem – choose between a round of world-class golf with serene views or luxurious pampering at five-star spas. 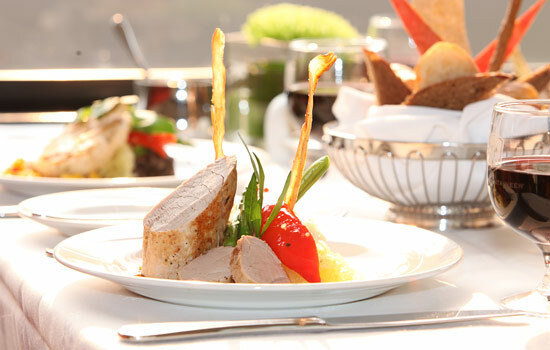 Whether you choose to putt or pamper, fine dining and luxury accommodation complete this all around relaxing vacation. 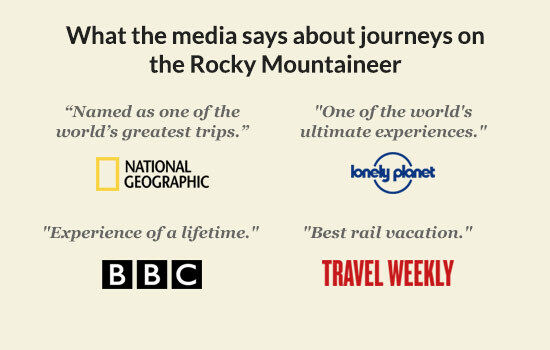 Rocky Mountaineer operates daylight touring trains, which travel along three of the most spectacular routes in Western Canada. You'll enjoy onboard commentary, award winning service, and incredible food. The Rocky Mountaineer is a uniquely daylight-only train service to the Canadian Rockies, meaning you don't miss a minute of the view! Glass-domed cars, first-class service and exquisite food, make it world-famous. This luxury hotel is located in Vancouver's inner harbour, minutes from Canada Place, the cruise ship terminals and gastown. Sit back and relax in your room as you watch floatplanes take off and land right in front of you with the beautiful north shore mountains as your backdrop. Plus you have the luxurious common amenities that come with staying at any Fairmont hotel. 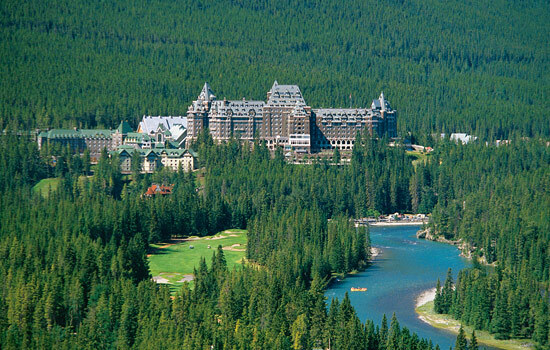 All the class and luxury of the famous Fairmont hotels with the beautiful mountain scenery of Canada's number one ski resort. With rustic antiques, handmade rugs, inviting overstuffed sofas and wooden beam construction, the hotel lobby recreates the air of a relaxing country retreat. Rooms are equally warm and inviting with rustic decor and stunning views of the snow covered Mountains. The Mallard Lounge cannot be missed with its grand outdoor slope side fire pits. Vancouver is a delight – a modern oasis of restaurants, shopping, and cultural activities nestled in the spectacular scenery of dramatic mountain ranges plunging into the Pacific Ocean. Vancouver is the home of Stanley Park, it has been dubbed ‘Hollywood North’, and the city most often heading the top of the list of the worlds’ most desirable. So grab a coffee and stop at a sidewalk café to watch the world go by. 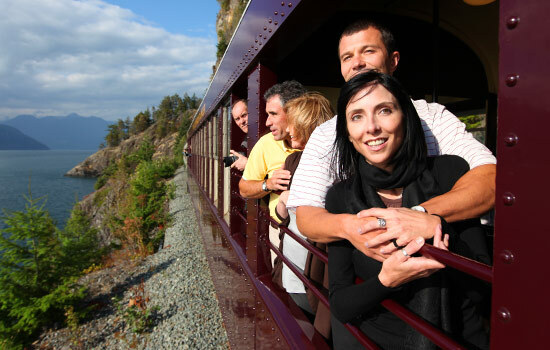 Step aboard the world-class Rocky Mountaineer Train, and start the day in style with rich coffee and a breakfast served as you wind your way along the shores of Howe Sound. Take in the spectacular scenery of lush green mountains topped with dramatic peaks that rise from the water just a few feet away. You’ll arrive in Whistler just before lunch time. This afternoon, choose from a round of golf at the Chateau Whistler, or enjoy a 60-minute classic massage at the Vida Wellness spa, sure to soothe away any tension. 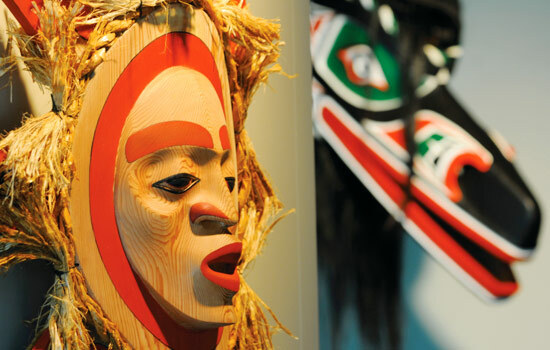 Then, explore Whistler Village with its excellent shopping, dining, sightseeing, and lounging opportunities. You may be reluctant to leave behind the luxurious comfort of your Whistler escape, but today’s rail journey is sure to entice. Departing Whistler in the morning, the Canadian Rockies train winds its way through some of the most spectacular scenery in the world. While drinking in this breathtaking landscape, every desire will be accommodated with delicious meals, friendly service, and expert interpretive narration of the region’s most delightful highlights. In order to maximize this once-in-a-life time luxury Canada train trip and its incredible views, all travel is done by daylight. It might be hard to believe it possible, but today’s scenery may surpass yesterday’s, with the breathtaking arrival of the Canadian Rockies. 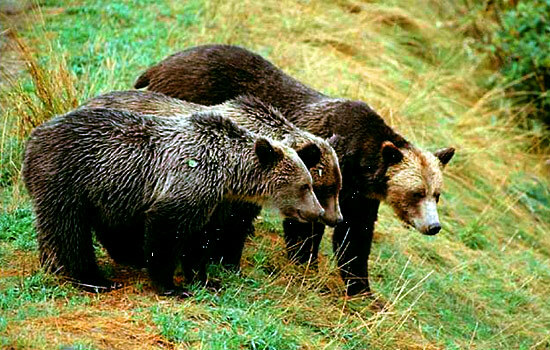 The forest in this region is thick, lush, and home to all sorts of lively creatures – so be sure to keep an eye trained on the window to catch a lonely moose or wandering bear. Step off the train in Jasper and into the embrace of these natural gems. You’re on top of the world, far from the stresses at home, and with the Canadian wilderness surrounding you, you’re truly at ease. 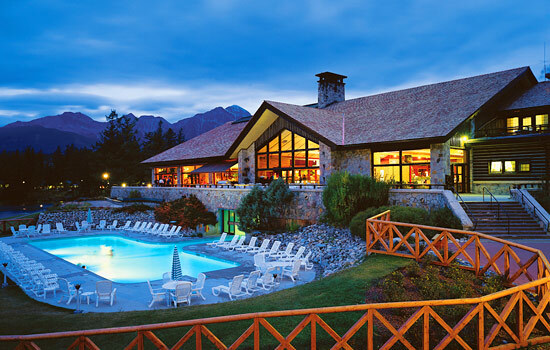 A true Canadian experience of the Fairmont Jasper Park Lodge awaits upon check-in as you’re welcomed for a Canadian lodge experience. The proximity of today’s indulgences is sure to delight – more time to spend relaxing in bed! 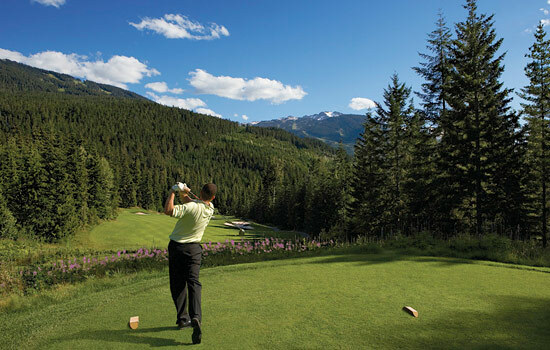 If the skies are blue and the green is calling, step onto the Fairmont Jasper Park Lodge’s famous golf course and start working on your game. 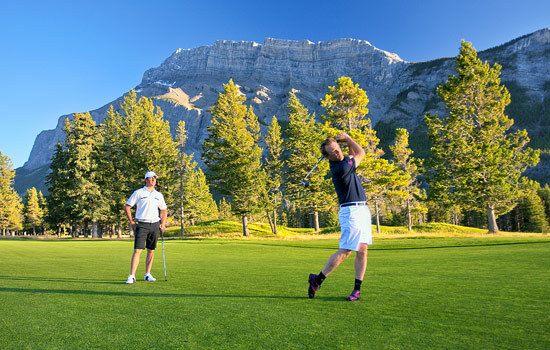 Don’t let the challenge of playing in the distracting scenery of the Canadian Rockies affect your swing! 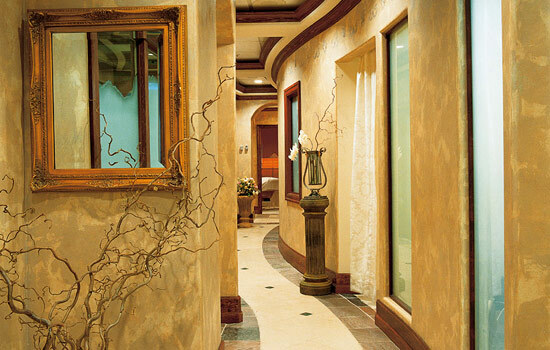 Alternatively, choose another way to relax with a massage at the Jasper Park Lodge Reflections Spa. 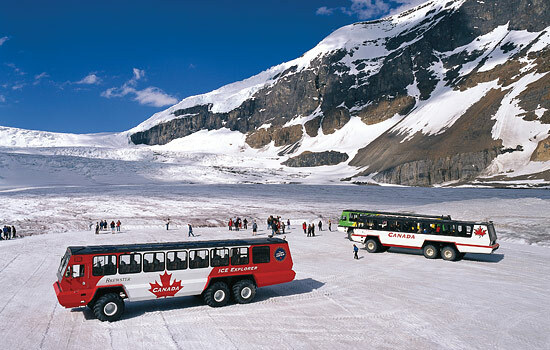 Today you enjoy a private transfer along one of the most spectacular drives in the world – south down the spine of the Canadian Rockies on the Icefields Parkway. 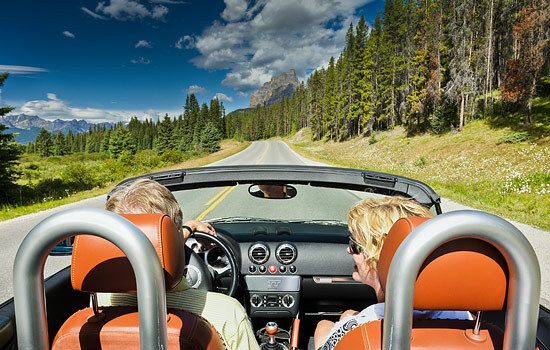 This scenic highway offers unsurpassed views of the Canadian Rockies. 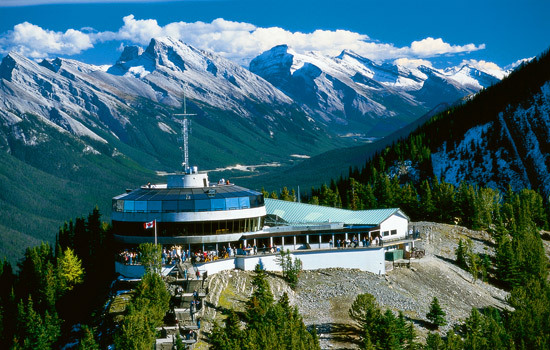 You’ll arrive in the bustling yet beautiful mountain town of Banff. Tonight, explore the excellent restaurants and fascinating boutiques of the town. 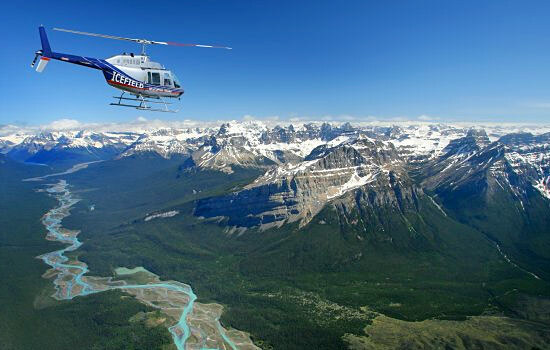 Insider Tip: This private transfer takes you from Jasper to Banff, with possible photo stops at scenic viewpoints. 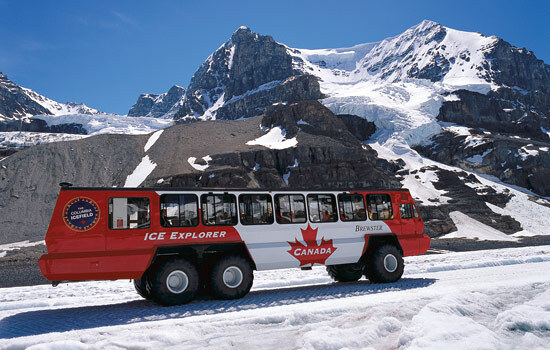 If you wish to experience the Athabasca Glacier with a ride on the Ice Explorer, and/or walk on the Glacier Skywalk, please ask your vacation advisor for alternative Icefields Parkway tour options. Banff is considered by many to be the gem of any Canadian Rockies train vacation, and, after today, you may be tempted to agree. Another round of golf or spa treatment is the way to spend the day, taking in the majestic mountains of the Canadian Rockies. This sense of natural calm contributes to the soothing atmosphere of the 18-hole Stanley Thompson golf course – the perfect place to lower your handicap. Or choose to feel as fresh and beautiful as your wilderness surroundings with a signature spa package – the perfect way to relax. 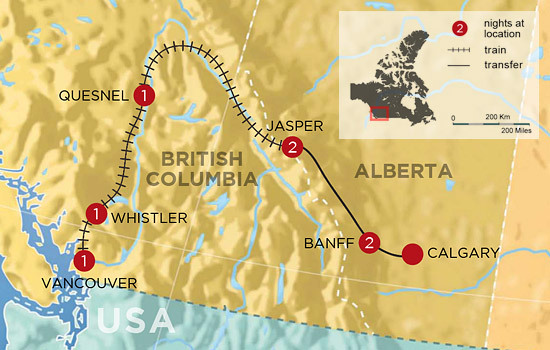 Filled with memories of your Canada train trip and the Rocky Mountains, you bid farewell to the Rockies and gradually descend through the foothills by luxury private vehicle, arriving in Calgary in time for your flight.